Unable to access the My Passport Wireless Pro after performing a reset. Performing a Reset, System Only Restore or, System and Disk Restore will reset the password of the My Passport Wireless Pro device back to default. The default Wi-Fi password is needed in order to gain access and setup the device. The default WiFI password is hardcoded and cannot be removed, changed or deleted. 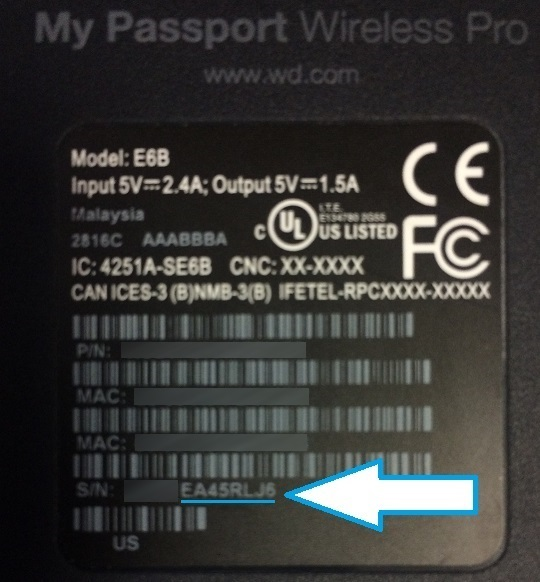 The device sticker on the back of the My Passport Wireless Pro device. The Serial Number will be labled under S/N. 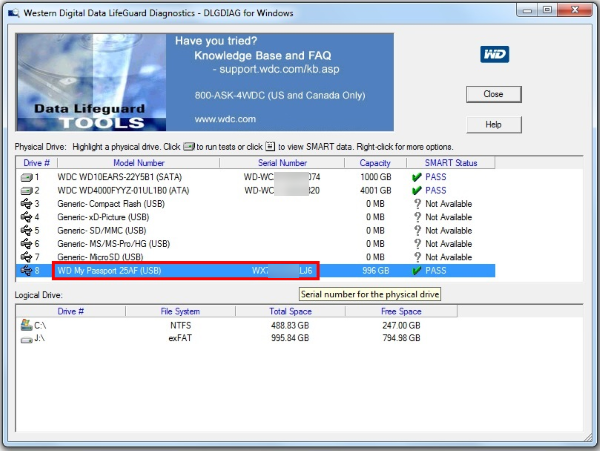 The Windows Data Lifeguard Diagnostics software can be used to display the Serial Number of the device. Follow the steps below for assistance.